The XY Ford Falcon is the fourth and final iteration of the second generation of one of Australia’s greatest automotive monikers. Released in October of 1970, the XY replaced the outgoing XW Falcon and stayed in production until March 1972. Changes made over its predecessor were mostly cosmetic, with the XY scoring a new divided front grille and a revised taillight design. Changes were also made to improve the XYs seating position, overall safety and ride quality. The XY was made available to customers in a number of different body styles that included a four-door sedan, five-door wagon, two-door ute and a two-door panel van. Power was derived from a range of motors that comprised a 3.3lt and 4.1lt inline six-cylinder and a 4.9lt and 5.8lt V8. The shove from these collective engines was sent to the XYs rear wheels via either a three or four-speed manual or a three-speed automatic transmission. The XYs model range was extensive, and included the Falcon, Falcon 500, Futura, Fairmont and Falcon GT. This particular XY is a 1970 GT and comes equipped with the thumping 351 Cleveland and four-speed manual transmission. According to the seller, this GT is a genuine matching numbers vehicle and was refreshed in a number of areas in 2006. 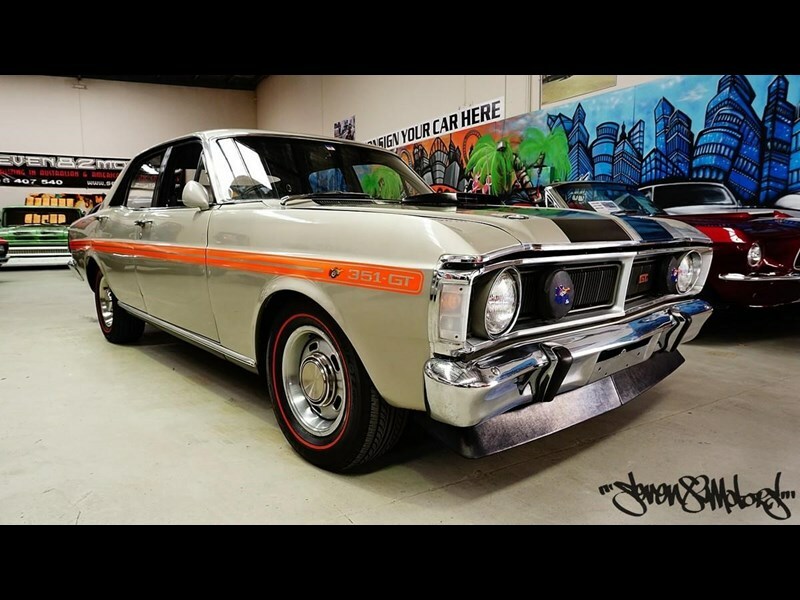 The XY GT is $185,000 and anyone interested in this classic Aussie muscle car can view the full listing here.